Home › running › Even Races adapt to the times. Even Races adapt to the times. There has been an interesting trend in new races that I have seen posted. It used to be that the standard races were your 5k, your 10k, your 1/2 marathon and your marathon. Looking over the listing of upcoming races in the area on the Triple Cities Running Club calendar, there are a larger variety of distances – from your 15 k & 20k, to a 3.85 mile, 4 mile and others. It’s great to see a variety arise – allowing people to pick what ever range fits their running style and ability. There has also been another new trend that I hadn’t noticed until this year (for all I know it started ten years ago though.) The Warrior Dash, Tough Mudder, and even local races like the Mudders and More Trail Run and Family Walk have started up. They advertise themselves as MORE than a run, and indeed they are – Filled with obstacles from Jumping Fire, crawling under barbed wire and scaling a cargo net – these races are a step away from your traditional “hit the road and run”. I suspect it has brought “running a race” to a whole new group of people. 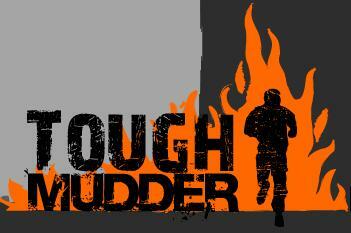 I signed up for the Warrior Dash on Aug. 14th in Wyndham NY. My buddy that is doing the Marine Corps Marathon is registered with me, my wife is registered, and a whole bunch of people from the Southern Tier Martial Arts as well! I have NO plans on doing it in a certain time, it’s simply going to be a good time to run and have fun. It’s definitely a different view from when I run normal 5k’s. ‹ Have a heart – or, Learning how to USE that heart for better fitness!